It is always exciting when the work of a young, talented musician surfaces into the spotlight. 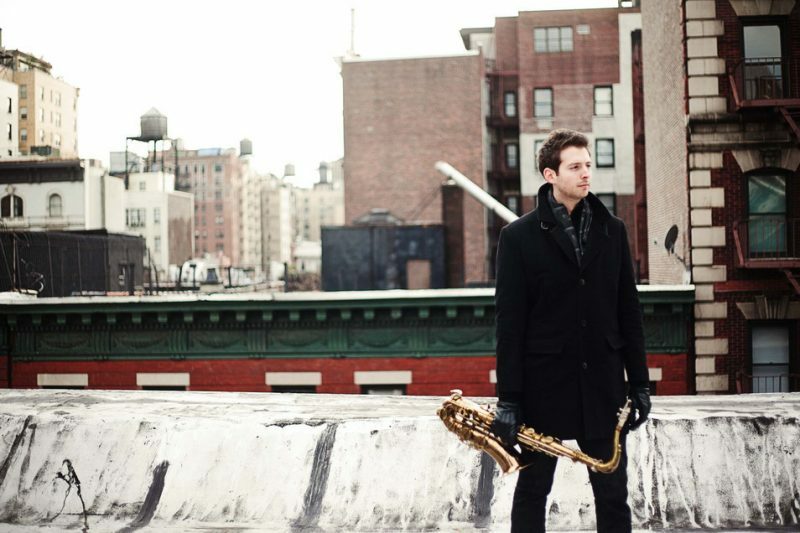 Tenor saxophonist Brandon Wright has already accelerated into the big leagues with his ripe, flavorful sounds and technique. His playing is highly respected among leaders in the industry such as Eric Alexander, Chuck Mangione and many more. 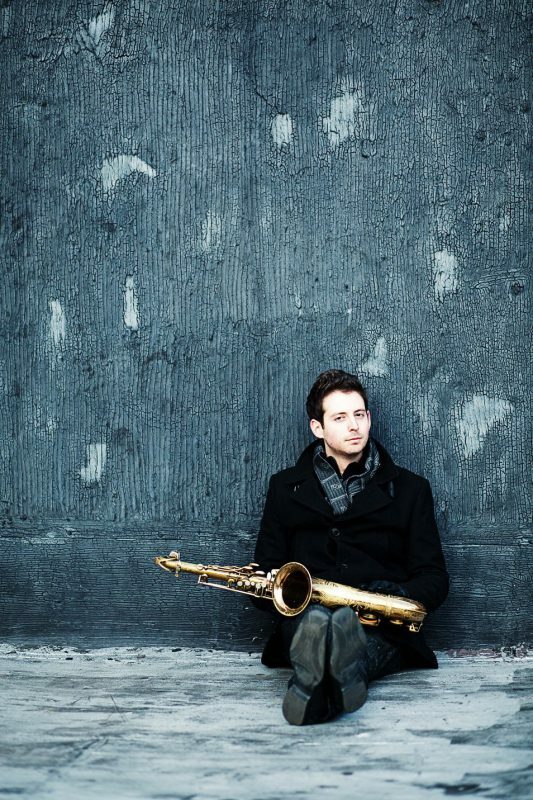 Wright has already earned the respect of fellow musicians and attracted a following through his performances at Jazz At Lincoln Center and The Kennedy Center. For more information about Brandon Wright, visit his website. Last week, I had pleasure of sitting down for a one on one with Wright to talk about his life in music and what inspired him to create his sophomore release,Journeyman (Posi-Tone 2012), which is full of rich, rhythmic concepts and fresh interpretations. It is climbing the charts as we speak! His CD Release party is scheduled to be held at Jazz At Kitano in New York City on June 1, 2012 at 8p.m. and is open to the public. Here is what this incredible, young saxophone player told me about his life and love of music and the saxophone. Gigi Brooks: Listening to your style of playing and reading about your formal training at the University of Michigan and studying the saxophone, I have to ask which saxophonist influenced you to the point of choosing the saxophone as an instrument? You could have chosen the piano, trumpet or any other instrument. Brandon Wright: Well, the funny story there is when I was eight years old The Simpsons was just being aired in its first season and the character Lisa Simpson, who they made a saxophonist…in the very first season they had her paired up with the jazz musician “Bleeding Gums Murphy”; this is over twenty years ago now. They sing this Blues song together and in the lyrics she says that she is in the second grade and I was in the second grade when The Simpsons came out and I just found her extremely relatable because she could have been my peer in real life and at eight years old you just have such an imagination that I just thought she could be my friend ’cause she plays the saxophone and it would be so cool. I just knew when band came around that I would want to play the saxophone. You have no idea how unique that story is! I still need to write Matt Groening and all of the creators of the show. Thank you. I keep saying I am going to do it and then I put it off, so that’s something I need to do. I did meet the composer, Alf Clausen of the show as well as Terry Harrington, who plays the baritone sax. Everything was great for me then. So that’s what set the bar for choosing the saxophone. Then in middle school the Dave Matthews Band was pretty popular and I really wasn’t exposed to jazz through my family, it wasn’t really listened to in the house. My exposure to the saxophone came through more like pop culture like The Simpsons, then also The Dave Matthews Band’s, saxophonist LeRoi Moore. That was my basic awareness was Lisa Simpson and whatever recordings on The Simpsons albums and the Dave Matthews Band is where it started. Then my sophomore year of high school, my uncle gave me a recording of Joshua Redman’s CD Moodswing. That was my first introduction to jazz. Unbelievable! Your start is so different from that of many jazz artists. A lot of things happened for me at that same time…all within a six month time period during my sophomore year of high school, I also auditioned for this program in Newark, New Jersey called Jazz For Teens, which Rufus Reid, the great bass player founded and became my mentor for a while at the New Jersey Performing Arts Center. So, I auditioned for this program, because I thought it would look good on my college application, I had an extreme curiosity of the music, but I was just looking for another extracurricular activity, so I auditioned for this program. So, that happened and I don’t know how I got in…I think I just played with enough conviction and I really just knew a handful of scales. I still didn’t know who Miles Davis or Charlie Parker was, but I got into the program, was in the first section. I was really amazed by the level of talent. I mean there were kids much better than me that really took me out of my world of high school where you think you’re good just because you happen to be one of the more talented players in your school, but now when you’re exposed to everyone in the entire state of New Jersey it’s a whole new ball game. I was so inspired by kids who seemed to know a lot more about the music than I did which was a little confusing, because I felt like they were my peers. You start to realize that people have started to learn about this music much earlier and also what type of teacher there was and what they were exposed to. So that happened and I went to my first jazz club with my family. I heard my private teacher, Walt Weiskopf play with a sextet. There was a combination of going to Jazz for Teens and then going to hear Walt play with his band that night, I was just hooked on the music from that point on. Even though I didn’t know that much about it and it was very much a mystery to me, it was just magic and I fell in love with the art form and just decided that I wanted to learn as much as I could and get as good as I could as a saxophonist and as an improviser, become familiar with the music and hopefully one day I too could be on the stage. Again, I will say your story is unique to that of a jazz artist. Most musicians will tell you “I saw John Coltrane”; “you know I saw Miles Davis do such and such”; or “I listened to Wayne Wallace play at a festival”. I find it incredible that you picked up the interest for the saxophone from a television show and then took it further and made a career out of it; and a successful one at that. I got bit by the performance bug when I was young and it just made sense. I read the comment by trombonist, Fred Wesley, where he said your playing “sounds like an old black man.” How do you attribute the ability to get that mature sound that you have in your approach to your music? You sound as if you have been playing for thirty years. Thank you. I think…well all I can say is that I really immersed myself in the music. When I got involved with Jazz For Teens and they recommended a lot of CDs and then I started listening to WBGO, the New York jazz radio station. I became obsessive with the music where probably a good seven, or eight years my listening diet was nothing but straight ahead jazz music, mostly instrumental. I really paid attention to not only the notes that they were playing and doing a transcription, but really getting deeper into the intent of how they were playing the music. You may want to call it “the vibe” or “energy”. To me, that’s what made the music more than the notes, was how it was being played and I really worked hard to try to imitate that and immerse myself in it. Other than that I developed a sound in my head that came from all my different influences, the traditions, I definitely love a lot of the great early saxophone players and I have as much respect for the modern players, I just kind of put that all together, put the horn to my face and just wanted to make great music. It really is an honor. Fred wasn’t the first person to tell me that, when I was playing down in Florida, my nickname was “Tyrone” and I was only 22 years old, whoever gave me that nickname. [laughs] When I met Fred, we did a tour of Japan together with Gregg Field’s Big Band and I was such a huge fan of Fred Wesley before we even played and met and I we became friends and after that first gig he came up to me and said, “You sound like an old man!” So I guess it’s just something that comes from within, you know I love the music and I want to treat it with the utmost respect and authenticity. I understand what you mean. The fact that you play so melodic, I listened to that. You really know how to space and carry your notes into a beautiful style and I’m wondering if it has to do with the time you spent with Chuck Mangione, because his playing has always been so beautiful and so melodic and I hear that same pattern in your playing on the saxophone. Am I correct? I appreciate the complement and it’s funny that’s what I was going to bring up before you said it. You’re one-hundred percent correct, Gigi. Chuck Mangione’s mentorship directly affected me that way. That was probably…there was a big shift in the way I was playing after I joined his band and I’ll be honest you know… when I first joined the group I was very excited for the opportunity and his music can be played in such a way that it’s easy to just let it rip and show of a lot of saxophone chops, because it’s more diatonic-based. It’s not as harmonically adventurous. You’re not going into this unchartered territory like Wayne Shorter, or Herbie Hancock, or major, minor, bluesy, pentatonic stuff. It’s very easy for me to go into that Tower of Power saxophone mode and unleash a lot of notes and it did get me a lot of applause. I like telling this story…I remember I was playing at the Blue Note for a week and maybe it was the second night… and it was the closest feeling I had felt to being a Rock Star, in the jazz context. A lot of people go to the Blue Note, because it’s a touristy spot, people just know that name and they know Chuck and we were playing to a packed house every night and it’s a very intimate club and elite stage and you’re right there with the audience and people wanted autographs and wanted to know more about me…it was very exciting. So, I guess the point of this story with Chuck and how he changed my playing is he pulled me into the dressing room after the second set and he said, “my favorite part of the night when you played and really performed the ballad, because you leave a lot of space and you’re melodic. Let that be the lesson that you apply to the rest of the show. That’s how I would like to hear you play.” I’ll be honest, Gigi, when I first heard that I was a little sensitive and a little frustrated, because someone was telling me to tone it down and at first when you hear stuff like that as an artist it’s easy to get a little bit touchy, or to take it personally, but what I’ve come to realize is that once I started to adapt a ‘less is more’ approach and be more melodic, I felt that I was really getting more to the essence of who I wanted to be as a player. It started to give me more of an identity and I felt that I was saying more with less. If you think of music as a conversation, it is very difficult to listen to someone who’s speaking rapid fire all the time without leaving space. So even when I recorded Boiling Point, I had made that choice based on what Chuck Mangione had told me which was “be more melodic, leave space, don’t go for everything right away”. [laughs] Right! And he was absolutely right! Let’s talk about your new release Journeyman. What is the meaning of the title? Journeyman came through…was the idea of the producer of the CD, Marc Free. We were brainstorming ideas. The band that is on the record…we’d just performed at the Kitano, maybe a month and a half before I pitched the idea to Marc and I just loved the group and it was exciting to play with them. It was the first time we all played together live and I pitched the idea to Marc. I said I really want this album to be about my time and experience here in New York. I said I really want it to be about my journey and he said, “Journeyman!” The words popped right out and I was familiar with the term, because I had been called that a couple of years ago when someone was asking me what I was up to and I would go up and down the list of different bands I’d played with and freelancing. So it seemed to fit. It tells the story of how I got to where I am right now. It is a wonderful band by the way. You’ve got David Kikoski on piano, Boris Kozlov on bass and Donald Edwards on drums. You vibe together so well! And I want to add that six of the ten songs are written by you. It’s an important part of the process and also how I’d like to present music and myself as being improviser and interpreter of jazz standards. There is a need for me to compose and write my own material which I think at the end of the day I sound more like myself playing my compositions and the way I write and promote melodies an harmonic landscapes I feel it allows me to get to the essence of how I like to play. I am most free to roam in my compositions.